Location Askrig. Broomber. Below Coombs. Geology Spring rise below the Middle Limestone. Record Name Askrig. Broomber. The |Coombs. Burnt mound Site 1. Record Description Very large burnt mound in gorse infested pasture at spring rise. 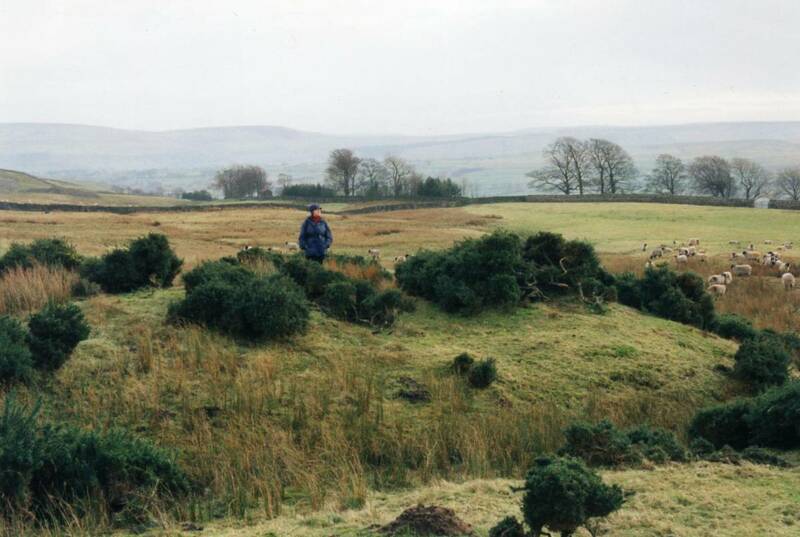 A second burnt mound has been recognised higher up on Broomber and this is to be recorded seperately as Site 2. Round house settlement (unsurveyed) above this site. Dimensions 12m dia estimated and 1.2m high above present ground level. Image 1 Description Askrig. Broomber. The |Coombs. Burnt mound Site 1.